Serving Longview, Tyler and all of East Texas. 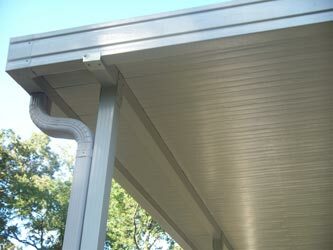 American Siding and Patio specializes in fulfilling our customers’ exterior home improvement needs. 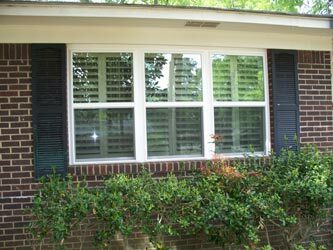 We offer a wide selection of vinyl replacement windows, vinyl siding and aluminum patio covers, sunrooms and screen rooms .We service the entire Longview / Tyler / Marshall area and even go as far south as Lufkin, Texas, and as far north as Paris and Texarkana. Our service area extends west to Canton and east to Waskom. American is East Texas owned and offers over a quarter century of expertise in windows, vinyl siding, patio covers, sun rooms and screen rooms. Many of our customers have offered to give references to other homeowners interested in improving their homes. It takes a high customer satisfaction level for most homeowners to stick their neck out for a contractor these days. American believes in the Golden Rule of "Do unto others as you would have them do unto you." There really is a lot of truth in the old saying that goes, " What goes around , comes around." Home improvement is one of those unique businesses in which studies indicate a higher level of customer satisfaction when the contractor is a privately owned company. Though several national retailers offer replacement windows, vinyl siding, door replacement, patio covers and patio rooms, it seems that homeowners trying to do business with big lumberyards and department stores, often feel that they get lost in the shuffle. Possibly the most surprising thing is that it turns out the pricing of the big guys is generally higher than that of a local window and siding contractor. Maybe that is because the local guy has a vested interested in keeping his costs fair to the homeowner, in hopes of earning future business. Newcomers to the home improvement business often don't realize how a quarter of an inch difference in a replacement window measurement can make a job look sloppy versus looking picture perfect. 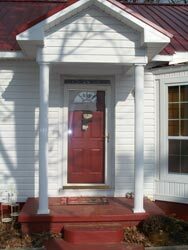 Same thing with vinyl siding - if you don't stagger the joints properly, it will never look right. And with patio covers, what if that patio slab is out of square? An experienced home improvement contractor can often just drive by a house and tell that something was done incorrectly. That trained eye really comes in handy when he's up close and figuring out what is really going to make this improvement look and work well. Many remodeling home improvements look great the day they are done, but ten years later, the homeowner is often wishing he had selected another contractor. Premature rotting of door frames, leaking windows, rotted walls caused by improperly installed vinyl siding, and such things, can turn an improvement into a liability, whether you eventually sell your home or live in it forever. Our job is to satisfy you today in such a way that twenty years from now, you will still be sending your friends to us whenever they mention that their home needs work. This happens for us frequently. Many homeowners call us years after we have worked for them because they sold the home we improved and now they want us to improve their new home. We love it! DON'T DO ANYTHING WITHOUT A DETAILED WRITTEN PROPOSAL! Our home improvement proposals are given to you in writing to assure that our offer to you is abundantly clear. If you ever enter a home improvement agreement that is not fully disclosed to you in writing, before work begins, you are running the risk that your contractor is unscrupulous and is looking for an opportunity to threaten to file a lien against your home. These "financial predators" know that this will usually cause a homeowner to pay whatever the contractor says he is owed. The term "financial predator" is the term used by a judge in Lufkin, Texas recently to describe an unscrupulous contractor we had been hearing about for many years. He went to prison, but not before hurting homeowners to the tune of hundreds of thousands of dollars over the years. Others we know of currently doing business in East Texas and Northwest Louisiana, have "spiked" jobs, meaning they would go in and do a little tear out work, then leave and not even respond to the homeowners' calls. Eventually, when the contractor had taken everyone else for all he could, he would return, saying he now had time to do the work. Then he would start demanding more money and threatening to file a lien once the homeowner informed him that another home improvement contractor had finally been hired to complete the work. We recently did a lot of work on a Longview home for some wonderful people who had been through the whole routine with a local unscrupulous home improvement contractor. The only way for us to be sure of what product we should recommend to you and to accurately quote you a price, is to see your home. We drop by at your convenience and take the time to measure everything and examine for tell-tale signs of any previous damage. If we have a product that can help you, we will show you an actual sample of it, explain all the details, and carefully listen to and answer all of your questions. Until we understand your reasons for making the improvement and especially the things you expect out of your home improvement, it would be fruitless for us to make a recommendation. You will receive a firm,guaranteed bottom dollar quotation either that same day or within 48 hours. We promise you a professional, hassle-free experience that will educate you as a consumer. Hopefully you will like what you see and decide that we are the best contractor to improve your home! We also do window, vinyl siding, and patio cover installation in Marshall, Kilgore, Henderson, Carthage, Gilmer, Gladewater, Overton, Arp and Troup, Texas areas as well.